Can you get 4K reception with today’s TV antennas? As with most things in life, the answer is yes and no. As a cord-cutter, you’ve probably already heard about 4K or Ultra HD programming. Someone told you that it offers four times the resolution and picture quality as traditional HD. It delivers this quality due to a superiority in pixels – most 4K has a total resolution of 3,840 pixels by 2,160, compared to HD’s 1,920 by 1080. Given such high quality, it’s natural for cord-cutters to wonder if the TV antenna they have will deliver picture in this quality. Well? Will it? That’s right! The TV antenna atop your roof should be able to receive 4k over-the-air broadcasting. This is true even if your antenna is an older model that was put up there sometime during the 1960s. Antennas typically are unable to distinguish between the types of signals received. All that matters is that the signal be in the same frequency range for which it’s designed. There’s more than just receiving the right frequencies though… a TV would need to decode 4K signals and today’s TVs just aren’t designed to do that. Why? Keep reading. You read that correctly. No TV station currently is broadcasting 4K signal over-the-air. They probably won’t do it nor plan to do it anytime soon, either. There are a few test broadcasts taking place but there’s no way that you, the average viewer, would be able to receive them. The transition from analog to digital was a huge undertaking. A shift like that only comes around once every few generations or so. A shift to 4K would mean a major investment for broadcasters, all of whom recently have invested in the switch to digital. Given these facts, a switch to 4K programming now seems highly unlikely. If you’re a cord-cutter who wants the best the moment it’s available, there’s one source for 4K programming – DIRECTV. A DIRECTV 4K viewing packageis available from Solid Signal. Just remember, 4K programming requires a DIRECTV satellite dish. It also requires a DIRECTV HR54 Genie DVR and C61K Genie Mini Client, the only system able to decode 4K programs. DIRECTV’s 4K format provides unparalleled quality and reception. As a DIRECTV Authorized Dealer, we can answer any questions you might have about the satellite TV company’s 4K viewing options. We also can schedule an installation, then get you connected quickly and easily over the phone. If you’re ready to bring the unsurpassed performance of 4K programming into your home, call us at 877.312.4547. We’re happy to provide 4K reception to cord-cutters who want the best. 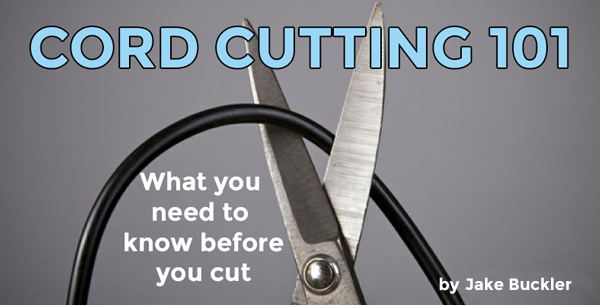 Just how big is cord-cutting anyway?